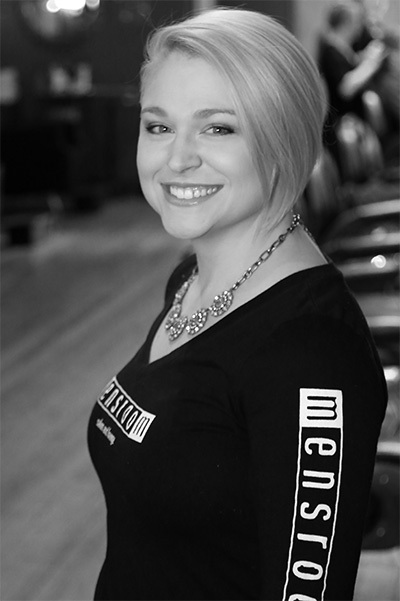 Jade graduated from Empire Beauty School and can tell you beyond a doubt that she has truly found her calling. Her first experience in an Aveda concept salon was in high school and ever since then she knew she wanted to become a hair stylist. “Their passion for the industry and their ability to make people feel special and pampered while also feeling completely at ease made me realize there is such a thing as as finding a career you love”, she says. Jade is an excellent colorist and also works at the Scarborough location of our sister salon, Acapello–so she always offers a fresh perspective on color, dimension and grey camouflage. Jade loves coming to work every day; she arrives early with a smile on her face and strives to make each and every guest leave with one as well. Consult with her about the look you want, and when you’re beyond satisfied with your results, make sure to take her card for your wife or daughter and introduce them to the purely positive experience of an Aveda salon.